Scorpio Horoscope for March 2018. 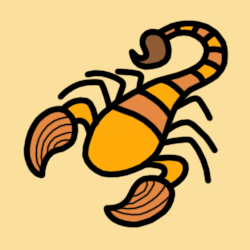 Scorpio horoscope for the month of March 2018 reveals fun, creativity, romance, career, tactful, collegues, re-arrangements, sorting clutter, resourceful, financial independence. For Scorpio, March 2018 is also a month of recognizing your pleasures and happiness demands, reinventing your creative juices and fun activities. The Sun this month continues to emphasize the playful, creative, romantic, and emotional side of your self-expression - until 20th March, after which the Sun seeks to attend your regular tasks, and bless your efficiency in work and health routines - for the rest of the month. Venus this month continues to attract you to aesthetic forms of recreation, making you charm your way to popularity - until 6th March, after which Venus seeks to bring more tact and diplomacy to your relations with the people you work with, making your talents or skills especially appreciated - for the rest of the month. Mercury this month continues to make you proud of your ideas, and very good at expressing them to others smoothly now - until 6th March, after which Mercury seeks to make you inclined to prepare to-do lists, pay bills and sort out clutter, and to do detailed work on the job - for the rest of the month. However, take time to reflect and review while Mercury is retrograde this month from 23rd March till rest of the month. Mars this month continues to energize your money-making efforts, or in making your life more comfortable and secure - until 17th March, after which Mars seeks to stimulate you with many ideas and plans, making you communicate in a more direct, assertive, self-centered, or provocative manner - for the rest of the month. Full Moon on 2nd March seeks to bring you pleasure - your hobbies, romantic activities, and so forth, or even a humanitarian gesture; while the New Moon on 17th March seeks to spark your creativity and self-expression, and highlights romantic inclinations. Again, Full Moon on 31st March seeks to balance your life with some down time, highlighting an overwhelming need to be alone. Also, Mercury is retrograde from 23rd March onwards, when you might mess-up with work or health matters - perhaps jumping to premature decisions that may turn frustrating. Venus this month continues to attract you to aesthetic forms of recreation, making you charm your way to popularity - until 15th March, after which Venus seeks to bring more tact and diplomacy to your relations with the people you work with, making your talents or skills especially appreciated - for the rest of the month. Mercury this month continues to make you proud of your ideas, and very good at expressing them to others smoothly now - until 12th March, after which Mercury seeks to make you inclined to prepare to-do lists, pay bills and sort out clutter, and to do detailed work on the job - for the rest of the month. However, take time to reflect and review while Mercury is retrograde this month from 23rd March till rest of the month. Mars this month continues to energize your money-making efforts, or in making your life more comfortable and secure - throughout the month. The Sun this month continues to spotlight your feeling of belonging, family, home, property concerns, roots, and heritage - until 10th March, after which the Sun seeks to emphasize the playful, creative, romantic, and emotional side of your self-expression - for the rest of the month. Venus this month continues to attract you to aesthetic forms of recreation, making you charm your way to popularity - until 23rd March, after which Venus seeks to bring more tact and diplomacy to your relations with the people you work with, making your talents or skills especially appreciated - for the rest of the month. Mercury this month seeks to make you proud of your ideas, and very good at expressing them to others smoothly now - throughout the month. However, take time to reflect and review while Mercury is retrograde this month from 23rd March till rest of the month. Mars this month seeks to energize your money-making efforts, or in making your life more comfortable and secure - throughout the month. Full Moon on 2nd March seeks to place you in the limelight, where everyone notices you - highlighting your competence and career matters; while the New Moon on 17th March seeks to spark your creativity and self-expression, and highlights romantic inclinations. Again, Full Moon on 31st March seeks to bring you pleasure - your hobbies, romantic activities, and so forth, or even a humanitarian gesture. Also, Mercury is retrograde from 23rd March onwards, when you might tend to be judgmental in matters of romance, children, and creativity - perhaps blowing issues out of proportion. Regarding monthly horoscope forecasts for March 2018, that is all for Scorpio. You may also read our 2018 Scorpio Yearly Horoscope Predictions to refer the overall scheme of astrological influences.